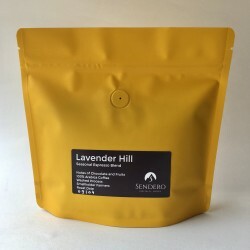 High quality speciality coffees, including a range of fully biodegradable & compostable coffee capsules. Founded by Pira and Hutan, Sendero Specialty Coffee travel to remote coffee growing regions so that they can work directly with local families and cooperatives in order to source outstanding Arabica coffee beans. They focus on high quality and traceability, and ensure that their coffees are handpicked and roasted in small batches for an exquisite taste in every cup. 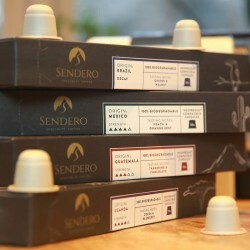 Sendero Specialty Coffee recently developed a range of fully biodegradable & compostable (Nespresso compatible) capsules with their own coffees. Not only do they taste amazing, but the capsules decompose in less than half a year so they're better for the environment too.